LED “Generations” are classified by their power consumption and by the size of the diode. Generation I (0.5 Watts), Generation III (1-Watt), or Generation IV (3-Watt) LEDs are what Extreme Tactical Dynamics use in all of our products except for our Head Strobes Kits which use Xenon tubes from Germany. 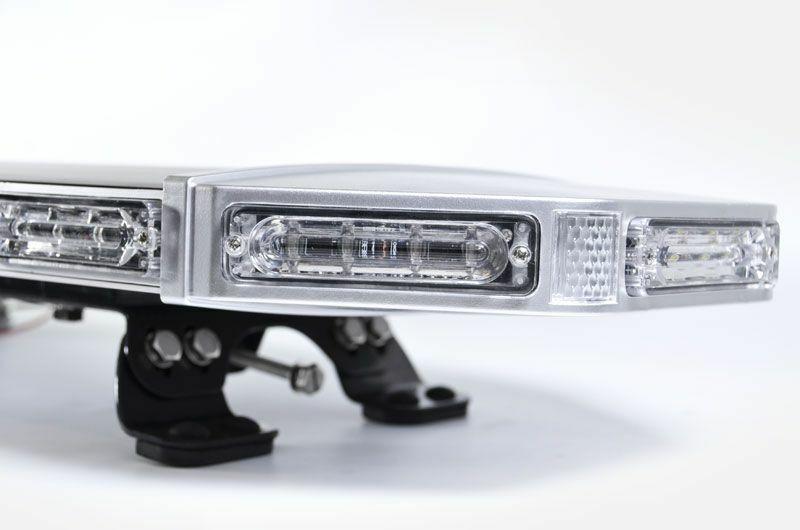 Some of our designs incorporate both 1 and 3 watt bulbs in the same light with adds even more features, like takedown lights as shown in our Eagle Eye Visor Light or in our C-4 Series alley lights. You’ll find 0.5 watts Generation I, 5mm LEDs in three of our Grille and Surface Mount lights: the E-24 which has 24 bulbs, the E-36 which has 36 bulbs, and the PAR 36 which has 40 Generation I bulbs. The super bright 12, 18, and 20 watts produced respectively, have superior, stable light output that can be easily seen in bright sunlight, which makes them powerful light sources at night and in all weather conditions, as well. The 5mm LEDs are made with advanced optics that are resistant to heat and moisture. They are perfect for use in emergency lights because they produce a direct, powerful beam of light, have very clear illumination, are high-performance, and are highly dependable. Don’t be fooled by these little Light Emitting Diodes that are only ½ watt; these excessively bright little ‘guys’ will damage the eyes if stared at. 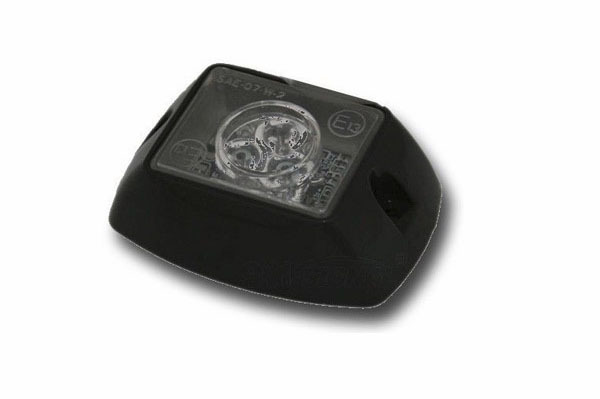 We do not use Generation II LEDs with 0.80 Watts in any of our products. We did some time ago, but have replaced them all with Generation III LEDs. The Generation III 1-Watt LED (white=270-350 lumens/LED) is one of the most popular wattages of lights that ETD uses; they are found in many of our high-quality products like the 48" Full Size Light Bar with Linear 1 Optics that has (88) Gen-III LEDS equalling 88 Watts (23,000 to 30,000 lumens)...no wonder you can’t look at them! 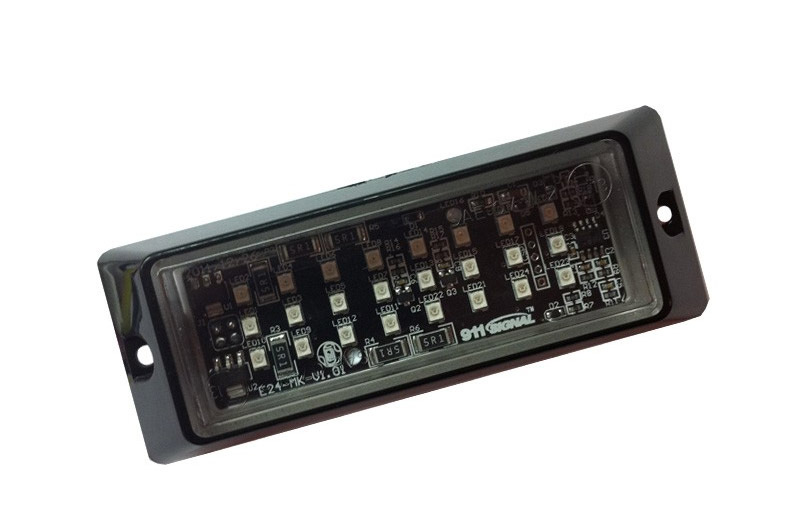 One of our smallest emergency lights, Undercover 3 LED Surface Mount has 3-watts (750 to 1000 lumens...accounting for the variables). Both our G-III and G-IV LEDs are moisture and heat resistant just like our G-I’s. Our LEDs produce clear, pure white or colored light. We enhance all of our LEDs with either TIR (Total Internal Reflectivity) lenses which create precisely focused beams or with Linear 1 lenses which spreads the output over a wider area. Our C-4 Series comes with Reflex Optics, perfect alley lights which spread the light from wall to wall along alleyways and city streets. Our high-performance, durable, and extremely efficient Generation IV 3-Watt LEDs (white=810-1050 lumens/LED) are the best in the industry and have the same 5-Year Limited Warranty that all our LEDs carry. ETD uses Generation IV 3-Watt LEDs and G-III 1-Watt LEDs in the vast majority of our products. Our little powerhouse, the Halo ONE LED, which is less than 3” square has (3) G-IV’s! Our G-IV’s meet the same high standards as our G-I’s and III’s. One of our most powerful police car lights the Chameleon 8 LIN Dual Color Traffic Advisor has (32) G-IV’s with a light output of over 30,000 lumens depending on the colors that you choose. ALL of our LEDs have very low power consumption but produce superior light output, the G-IV LED is the most powerful LED that we use in our production line at this time, but what’s next? The innovative Generation V LEDs are available on the market but are, at present, only designed for use in homes and offices. ETD does not incorporate them into any of our products because there is no application for them in emergency lights….. not yet at least! The ever-improving thin, flexible, ‘organic’ OLED that’s been evolving for about 10 years and is now being used in panels and displays in TV’s, phones, automotive applications in electronic equipment producing super vivid colors and deepest blacks. What application, if any, the OLED will have in the emergency light industry is still forthcoming.